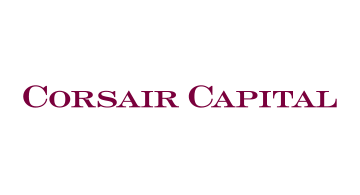 Corsair Capital LLC, which includes a highly regarded private equity platform, is a leading investor in the financial services industry. Corsair Capital has invested across a range of geographies and in substantially all of the subsectors of the financial services industry including: Wealth & Asset Management, Payments and Financial Technology, Banking & Specialty Finance, Insurance, and Services. Corsair Capital has led $7.5 billion of equity investments in the financial services sector since inception.